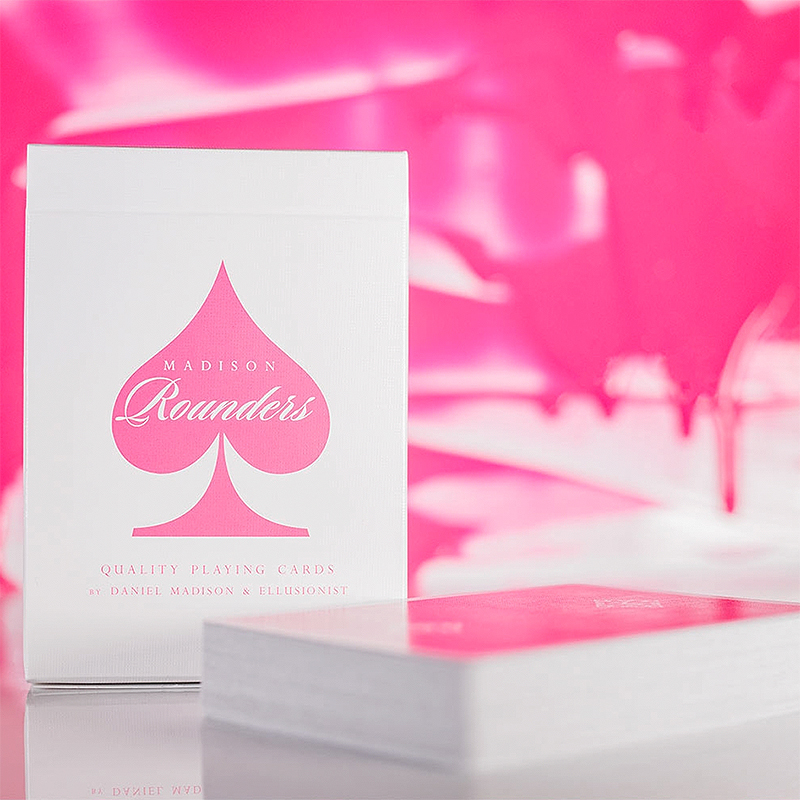 "Since the inception of the Madison Rounders, I always hoped that there would be many color additions, but it wasn¢t until an April-Fools-Day joke that I began to dream of one day having a deck of Pink Madison Rounders. A few years ago, we released a fake image of the Madison Rounders in pink, joking that they would release on April fools Day. But after the joke and I couldn¢t get the Pink Rounders out of my mind. It wasn¢t until the Erdnase x Madison debacle in 2017 that I knew that they had to be brought to life. Finally, to mark the end of an era, and the end of the line for additions to the Madison Rounders family, the Pink Rounders are no longer a joke but an outstanding reality. In a black-and-white world, every now and then, it¢s good to have a little splash of pink. I am Daniel Madison, and these are the Pink Madison Rounders." - Crushed Stock. - Traditionally Cut. • Ellusionist Quality. • The cards are poker size.